We've all heard the advice that to become a better writer we must first become better readers. I'd like to take this advice seriously. I want to read and analyze more flash fiction so I can ... well, I think of it almost like pulling back the curtain on a magic trick. When I read a story I'm caught up and transported into the story world. Because of this I usually don't read critically, I'm happy to be whisked away and entertained. Here are some guidelines, some questions, I've come up to help me analyze narrative. I haven't made any attempt to provide a complete list of questions so if you see something missing please do let me know in the comments. - Who is the protagonist? Antagonist? Who are the main characters? What are their names? - What do the characters look like physically? What do they wear? What are their quirks, their idiosyncrasies? What tags, traits and tells are associated with each main character? - What point of view is the story told from? - Map out the character arc for each main character. - Conflict. What is preventing the character from attaining their goal? - Who is the antagonist? The protagonist? Is there a helper character? A foil? A mentor? - What is the setting? - Is there a theme? If so, what is it? - What was the inciting incident/call to adventure? - Describe the new situation/special world. - How is the protagonist tested? - Is there a point of no return to mark the halfway point? - How were the stakes raised in the second half of the story? - What was the major setback (also sometimes called the 'dark night of the soul') toward the end of the story? - Resolution. Was the main arc completed? - When listing the facts of the story take note of who the information came from. You may find out later they were lying or, for whatever reason, it wasn't accurate. These questions are intended to be suggestions only. Not every story has the same structure, nor should it. For myself, my goal is to simply pay closer attention to how the stories I read are constructed so I can continue to improve my own writing. What questions do you ask when reading? 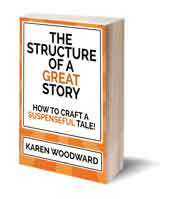 What elements of story structure do you pay special attention to? 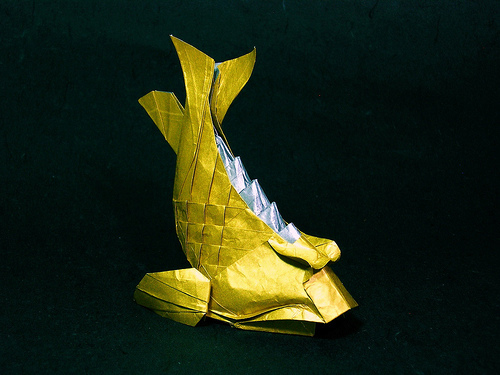 Photo credit: "shachihoko" by EmreAyar under Creative Commons Attribution 2.0. Great post! I'm actually the opposite as a reader--I find the more I study the writing craft, the more difficult it is for me now to get immersed in a story and let myself get transported, because I find I'm constantly analyzing the craft behind the writing. 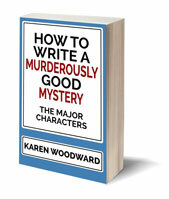 If I'm reading a really amazing book, especially, I think, "Wow, this is fantastic how he/she set up that plot twist... Wow, look at how closely he/she followed standard three-act structure... Wow, what a great phrase he/she just used to describe xyz!" That's not to say I can't get transported anymore, but it's definitely more of an effort for me to shut that particular part of my brain down and just focus on reading the story. I wish I was more like you when I read. I'm a bit like that when I watch movies. I'm always checking to see where I am in the movie, guessing what'll happen at the midpoint, the second plot point, the all is lost point, and so on. Fortunately I'm not all that good at guessing--if I was that'd take much of the fun out of watching a movie! Ha, I actually wish I were more like you, that I could go back to just appreciating a good story. Don't get me wrong, I get to learn a lot this way, but at the same time, I miss the time when I could just get lost in a really good book and not see the cogs and wheels behind it all. By the way, I looked at your blog, that's a truly impressive outline! Looks a bit like my place actually, I have a cork board filled with index cards. The cards have spilled over onto the walls. lol! Ah well, I do find it helps with outlining.